As winter approaches, the difficulties that Ladakhis face are going to increase manifold. The problems are not only related to providing safeguard against the 'killing cold weather' but also about having accessibility to the basic requirements of life. Among these requirements, the most basic one is nutritious food to eat. The situation is even grimmer when Ladakh is cut off from the outside world for six months when the Srinagar-Leh road gets closed. November is the last month to stock all the essentials for winter, and the authorities have done it only with half of the stocks. The unrest in Kashmir is affecting the people of Ladakh as most of the essential commodities come via Srinagar. Unlike summer, the streets give a deserted look in winter. Most of the shelves of the shops go bare. In the meantime, retailers need to continue to provide essential goods without shortage of commodities to the consumers. 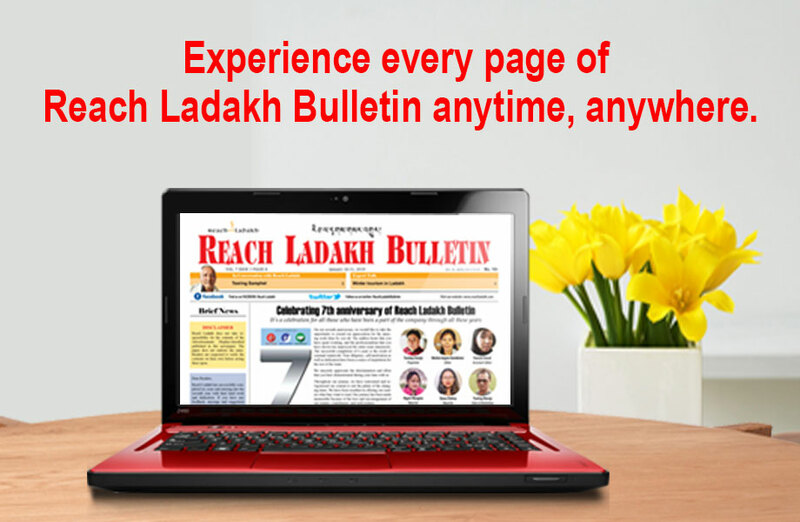 Further, the Ladakhis do not have the habit of checking the expiry date. There is a misconception that being a cold area, it doesn’t matter even if we consume a product after its validity gets expired. Winter in Ladakh is very hard for the people here as we do not have access to good nutritious food. We lack reliable source of fresh, nutritional food. Other than stocking food, we never thought of becoming a self- sustained society in winter. It’s high time we thought about sustaining ourselves and be not dependent on others for our own food. By getting food materials from outside, we are inviting a whole lot of diseases as our whole traditional food pattern has changed over the years. We should also document the disappearance of traditional cereals and vegetables. Despite so many new technologies, why is it difficult to cultivate in winter? The govt. should find a solution to this problem. They should encourage more people to opt for green houses as this is the only solution available at this moment. Programmes should be organised to make people aware of the benefits of green houses. It’s pathetic that Ladakh is still dependent on dried vegetables and fruits with very little nutritional value. The main point of consideration is: How long can we rely on others to feed us? We can be self-reliant in so many areas; all we need is to throw away the begging bowl and use our own resources appropriately. As we look at our society today, our future seems quite uncertain. We have indeed lost many of the "basics" and survival skills known and practised by our forefathers. We have become dependent on a very fragile system which is generally not operated in our best interest. To make matters worse, the region is hit by freezing weather in winter. As temperature plummets, the road network comes to a grinding halt, and large areas of the region are hit by electricity blackouts. The prices of the commodities get doubled as these are air-lifted. Most of the people cannot afford to buy. One wonders how long we have to live like this. Our administration should also think of alternatives to become a self- reliant society rather than be a dependent on others. There is a need to return to our land, and learn self-reliance skills, use of alternate food resources and have frugal practices of foraging for wild foods. Food storage system and ways to barter commodities are the needs of the hour.